Born and raised in Washington, D.C., Jon Bernthal left America to study at The Moscow Art Theatre School in Russia. He then went on to play professional baseball in the European professional baseball federation. Later, he was noticed by the director of Harvard University's Institute for Advanced Theatre Training at the American Repretory Theatre in Massachusetts. Performing in an outstanding 30-plus plays both locally and off-Broadway, Bernthal has definitely put in the time it takes to be a successful actor. He has also founded his own award-winning theater company Fovea Floods, where he has performed many of his plays. 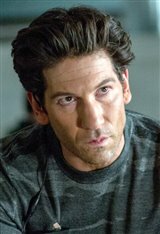 Jon had a starring role on CBS's The Class from 2006-2007, but it was his work as Shane Walsh on AMC's The Walking Dead that really made him a recognizable face. His character has since been killed off as to coincide with the source material—a graphic novel series of the same name—but since that time he was cast as Joe Teague in Walking Dead director Frank Darabont's pilot for TNT, L.A Noir. On the big screen, Jon appeared in the family comedy Night at the Museum: Battle of the Smithsonian alongside Ben Stiller, The Ghost Writer with Ewan McGregor, Snitch with Dwayne Johnson and Susan Sarandon and Fury (2014), alongside Brad Pitt. Jon has also appeared in films such as Sicario (2015), We Are Your Friends (2015), and The Accountant alongside co-star Ben Affleck. Recent films include Baby Driver (2017), Wind River (2017) and Sweet Virginia (2017). Outside of acting, Jon helps run the nonprofit organization Drops Fill Buckets with his brother. He has one child with his wife, Erin Angle.